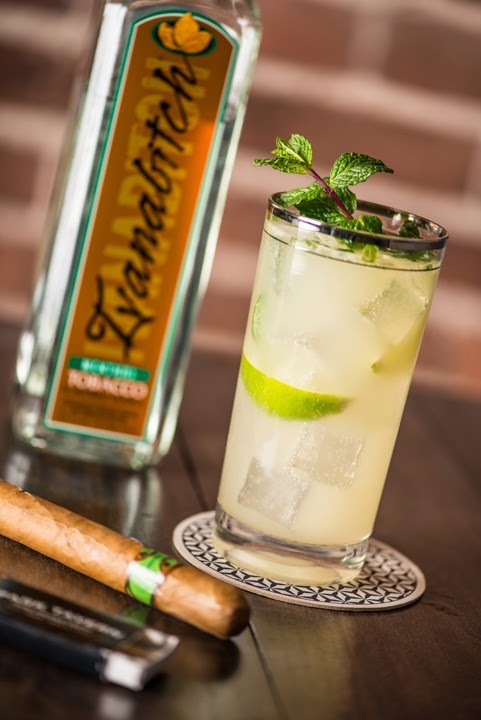 To create a Smokin' Mojito, add mint, sugar, and vodka to a tall study glass. Muddle until sugar is dissolved. Add Scotch, Ice and top with soda water. Stir and top with a lime wedge and a sprig of fresh mint. Enjoy!